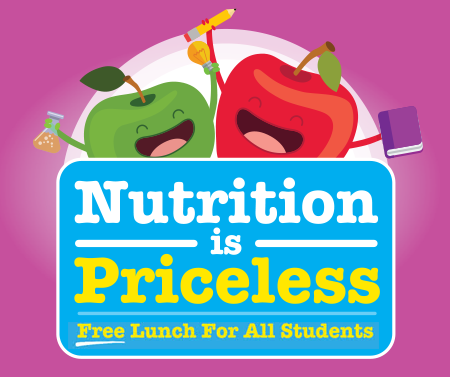 A DOE SchoolFood promotional poster. The city’s Department of Education announced Monday that it had hired the accounting firm of Ernst & Young to audit school-food contracts in the wake of new allegations that supplier profits were protected ahead of student health or taxpayer money. Separately, City Comptroller Scott Stringer announced an investigation, according to CBS-2. In addition, DOE acknowledged that its special commissioner of investigation, an internal watchdog, was looking into food issues. City Limits has also learned that staff of the Department of Investigation have made inquiries in the case, although DOI will not confirm or deny the existence of any investigation. City Limits reported on Monday on DOE SchoolFood’s aggressive efforts to promote an organic cereal backed by an investor who was an old friend of a high-ranking DOE official. The expensive breakfast option was deemed unpopular among students in at least some of the reports received by SchoolFood, but the system spent millions buying it, and the company has since inked lucrative marketing deals with national companies. CBS-2 reported Monday night on problems with moldy bread that school cafeteria workers traced to a change two years ago in suppliers. These stories follow reporting by City Limits in 2016 and 2017 about moldy pizza (which was served despite months of concerns about its quality) and tainted chicken, which was discovered when a cafeteria worker choked on a piece of bone inside what was supposed to be a boneless piece of poultry. The SchoolFood system serves 850,000 meals a day and is a critical tool for ensuring some level of nutrition equity in the city—meaning problems with food quality or contracting practices can have broad impact. If you are a school parent, student or cafeteria worker who has information to share about problems or successes in the school food system, please contact us here. The food is inedible in grade school in addition to the terrible menu choices. Junior high must use different food vendors and have standard chicken every day. Stop with the elaborate food options and keep it simple, healthy, and of good food quality. It’s not that difficult.